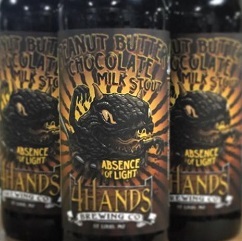 This is the new and improved Peanut Butter Chocolate Milk Stout. This is a beer that deserved to stand on its own, so we rebranded it and gave it a bit more body. The beer is now 7.1%, but still holds the same flavor profile you all love from years past.